Caitlin and Tanner warned Rachel and me that there would be tears at their wedding. I didn’t know how true this would be until we showed up and Tanner started tearing up while reading a letter that he wrote to Caitlin, to which she soon followed suit when she read hers as well. This tearful trend continued throughout the day, with the culmination point being when they saw each other for the first time. Even as Tanner heard Caitlin’s footsteps, happy tears began to fall. Looking back, it may be easier to list the parts of their wedding where someone wasn’t crying. Couples like these two are why Rachel and I film weddings. We are so thankful that they let us share and capture these moments with them. Getting married? Whether you’re a cryer or not, we would love to film your wedding. Please get in touch. For Zac and Lindsey, it was their quiet moments that Rachel and I wanted to capture the most. Yes, their wedding had loud dancing (with some crazy moves), and exuberant shouts of joy when they were pronounced husband and wife, but for every one of these moments, there was an equally smaller and more intimate moment that no one saw but us and them. In lieu of funky dance moves, there were warm embraces in the sunset, and though no one knew except for those closest to them at the time, their pronouncement of marriage included them whispering, “No, I love you more,” back and forth. These quiet moments are what Rachel and I endeavored to capture on Zac and Lindsey’s wedding day. 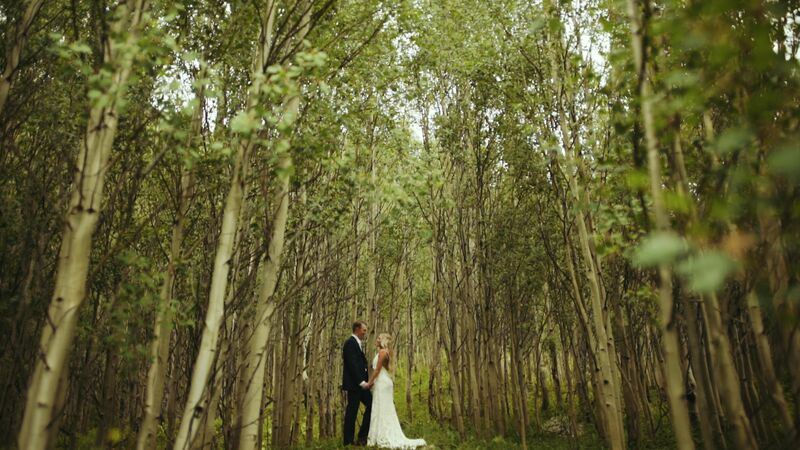 If you are getting married, whether you are loud and wild, or quieter and intimate (or both! ), we would love to talk about filming your wedding. Please get in touch. After spending four days in the mountains of Colorado with Mallory and Clay, we felt more like family than friends. From whitewater rafting in the ice cold San Miguel river, stuffing our faces with cheesy hot dogs (Clay’s family tradition! ), off-roading over mountain passes, and celebrating all over the town of Ouray, we know both them and Mallory’s two sons, very well. When you see their film and hear their story told through their letters and vows, you’ll see how these two were lost until they found each other, how Mallory’s free-spirited nature melded so well with Clay’s adventurous spirit, and how an immeasurable, never-ending love can be formed between two people. You’ll also see Clay giving some of the sweetest vows we’ve ever heard, as a father to Mallory’s sons. Maybe by the end of their film, you’ll feel like family too. Planning on eloping to Colorado (or anywhere else?) sometime soon? We would love to film it! Please get in touch. This longer film is one that I’ve been excited about creating ever since I filmed the wedding day. 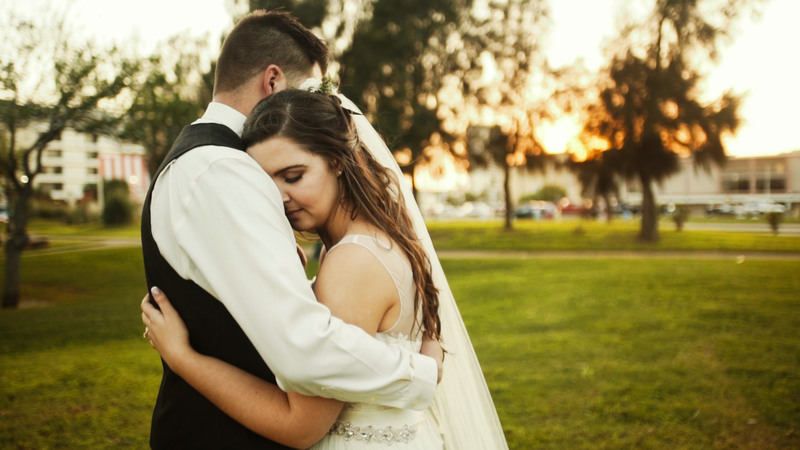 Noah and Mallorie’s story shared through their handwritten letters, emotional vows, and tearful words shared by close friends and family so clearly shows who they are and why they are in love. I’m so glad that many moments that I wasn’t able to share in their wedding trailer are now given room to breathe in this longer film. Getting married? Even if you haven’t been dating for 1/3 of your life, Rachel and I would love to talk with you about filming your wedding. Please get in touch. Back in March, I shared with you Marie and Drew’s minute-long wedding trailer. While I loved that short film, I feel that it barely did their story justice. The two days that Rachel and I spent adventuring with them, hiking, riding go-karts, crazy dancing, and driving all over Texas, are some of our favorite wedding filmmaking memories. Their full film shows these two days in fuller clarity and detail that a couple unique and quirky as these two deserve. We felt like we knew Marie and Drew as good friends after spending these two days with them, and I hope that by the end of their film you feel the same. Getting married on your own terms? Rachel and I would love to film it. Please get it touch.